In the next few posts I want to explore human development from a few different angles. In the current post I want to look at evolutionary and cultural factors. Relatively recent findings have helped us gain a greater understanding of how human development is influenced by its relational context. Laboratory studies bring us useful information about development, however human development does not occur in a Skinner box or a test tube. By the same principles any change we undergo at any point in our development will also occur in a relational context. I have borrowed the title for this post from the title of a groundbreaking book by Sarah Hrdy (2009) an accomplished anthropologist . In this book, Hrdy takes us on a journey across genetics, cultures and time to get to know our species and our unique way of raising offspring. Along the way we discover some fascinating truths about who we are. Due to our physical attributes (bipedal, big headedness), we humans give birth to our young at a very vulnerable stage Just as uniquely among primates, human mothers share the caregiving responsibilities for infants with other relatives. What you might not know, is that no other great apes or even monkeys do this (although some species of marmosets do). All other primates leave the care of the young entirely to the mother. Human mothers alone, among great apes, allow other females and even males to hold and even feed infants from the moment they are born. In hunter gatherer societies women expect the support of others in the clan, most importantly female relatives in the care of offspring. Humans throughout their evolutionary history have counted on "alloparents" for help in raising infants and this has allowed humans to have children more frequently than similar, slow developing primates. Humans tend to space children out by 2 years, whereas gorillas have offspring about 4 years apart and orangutans about 8 years apart. It is disturbing to learn that alloparenting marmosets as well as hunter gatherer humans are likely to commit infanticide when support from female relatives is unavailable. This behavior is extremely rare among other primates under similar conditions. It is not difficult to imagine the importance of determining whether an adult is a nurturing other or not for an immature member of the clan. This evolutionary situation may very well have selected for our highly developed ability to take one another’s perspective and the extension of this into language. Hrdy's last chapter offers some further thought provoking analysis from her perspective as an anthropologist. Hunter gathers developed strong tendencies to nurture one another’s offspring in order to survive, and this strategy was so successful, that many cultures came to refer to the world with various terms that approximate "the giving place". Most hunter gatherer cultures developed powerful taboos against arrogance and individualism. Mothers tended to stay with their own mothers and female kin which promoted this "alloparenting" and cooperative care. With the advent of horticulture, animal husbandry and then agriculture, surpluses of grain and livestock, and the control of property and land, things changed (from about 10 000 years ago in central Asia to the past century in a few societies). There was now property and land to protect and thus to steal. 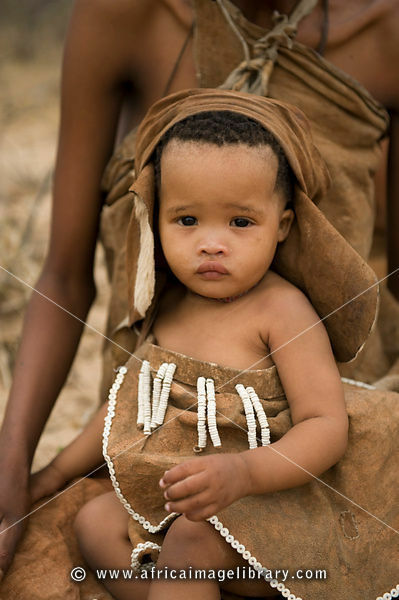 Men began to rely on their fathers and brothers to protect these resources and mothers no longer stayed with their mothers, and often came to be seen as needing protection in a patrilineal, patriarchal social structure which eroded the nurturing matrilineal care human infants had relied on until then as well as many of the taboos mentioned above. "The giving place" was forever changed. Hrdy is not alone in hypothesizing that this shift marked a significant change in the history of childhood and childcare that has had tremendous repercussions. These changes have only accelerated with industrialization and urbanization. Extended family units are increasingly scattered and even nuclear families have born up poorly under the stress of our modern world. Rates of mental illness are increasing in much of the western world and the onset of these problems are occurring at ever younger ages. To add a personal note, I myself was shocked at the challenges I faced as a parent, after moving across this country, prior to the arrival of our two children. I think we have a false notion that a mother should be able to parent infants in relative isolation for much of the day with minimal stress. The fact that this is not so often comes as a shock to mothers, whose rates of postpartum depression are high in the developed world. It can also come as a shock to spouses and to extended family alike. Perhaps if we had a better awareness that we are not, in fact, evolved to cope easily with such situations, we would as a society put greater stock in support for mothers and infants during these vulnerable years. An afterthought… I don't mean to come across as all “noble savage”. Hunter gatherer life was hard, and lifespans were short. The modern world has unleashed amazing creative potential in science, arts and medicine. I don't propose a retreat from modernity. What I propose is applying ourselves to understanding our modern ills holistically, so that we can find a way to apply this amazing creative potential to modern solutions.